“Sustainability doesn’t go far enough,” says Kristin Dunne, CEO at Tourism Bay of Plenty (TBOP), echoing The Love of Tourism, her new destination plan. She stands at the forefront of destination marketing leaders calling for the tourism industry to expand its goals beyond economic growth and take action to mitigate environmental challenges often linked to tourism, like overcrowding and the degradation of once-pristine areas. Dunne has led significant change. Since 2016, she has been at the helm of TBOP and has expanded the organization’s mandate from promotion into destination management. One example of that shift is a new destination plan called The Love of Tourism, created by TBOP and Destination Think!, with community participation. 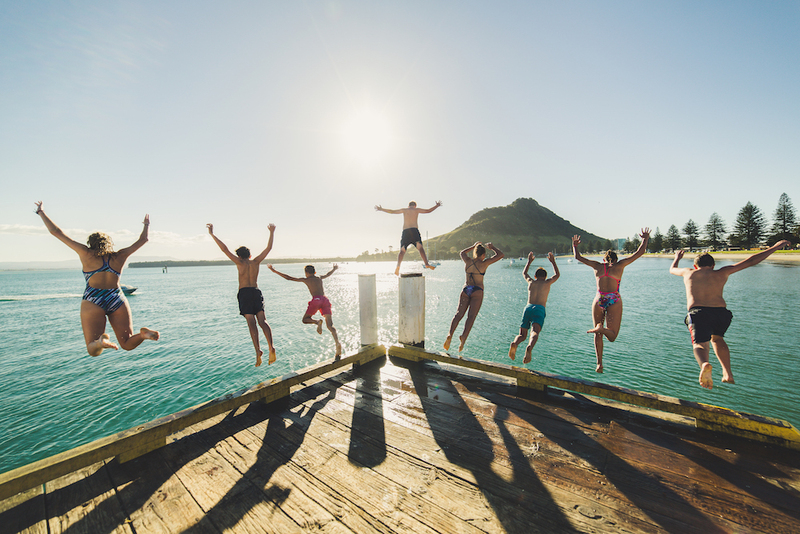 The plan communicates the Bay of Plenty’s ambitious aspirations to flourish while balancing the needs of people, the environment, and the tourism industry. In this interview, Kristin tells us why The Love of Tourism goes beyond sustainability to encompass regeneration and why gaining social license is the way to achieve a more responsible plan for tourism growth. David Archer, Editorial Manager, Destination Think! : Flourishing and regeneration are two concepts that stand out in The Love of Tourism destination development plan. What do those words mean to you and to this project? Kristin Dunne, CEO at Tourism Bay of Plenty: This is really fundamental. We changed direction once our organization had a debate around sustainability. We feel the sustainability concept has been confused and over-used. It is still short-term thinking to reduce the harm of ongoing practices. We didn’t feel that that went far enough at all to protect our place. So we started to think, “How can we fundamentally leave our place better than we found it?” That’s not a concept that we can own; it comes from our Indigenous people, the Māori. They have a beautiful way of viewing the world and doing business. What we’re trying to achieve with this plan isn’t our thinking. It’s very much a return or an elevation of Māori thinking and the values that have been displaced by colonization or industrialization. The whole point is to leave the place better for future generations, and that means going further than sustainability. That’s where we started to uncover regeneration, and now we’re really passionate about this concept. What role does environmental regeneration play as one of the four pillars of the new plan? Once you really use that model, it changes everything. You don’t make some decisions you would have made prior to running it through that filter. How has the community been involved in the process? The Destination Think! process is really inclusive. So far, we’ve run four series of workshops and presentations across our region, and we have had multiple stakeholders involved in those. This process has expanded our stakeholder network. Rather than only working with industry or the obvious stakeholders, we worked hard to bring in people who have a different mindset, worldview, and different priorities. It wasn’t just about tourism, it was about the environment and conservation. It definitely involved Māori leaders and organisations. It was also about people who are involved in education, arts and culture and other entrepreneurs and leaders. This has expanded how we see tourism’s role within our region, which is that it can help transform our place and help it to flourish. Tourism is not just something that happens to us, to our people and our environment. We turned that on its head and now aspire to make sure that the value it brings really adds value to our place and its people. The Love of Tourism is a lofty vision, but we really believe that it can happen, partly because we have such an active community already. We have many passionate change agents in our region. Our role is to harness that energy in a spirit of community inclusivity. How has the community responded so far? We have more work to do in sharing this plan with an even wider group of stakeholders, but the response has been fantastic. It’s been such an awesome process with Destination Think!. We got to a point when we said to [Destination Think! ], “We want to push harder now, to be very deliberate and very clear about the vision.” You don’t know what response you’re going to get, but we knew we had a community that is so active in protecting the place and looking after every species that we share it with. When did you want to push harder? We got really excited about the original final draft of The Love of Tourism from Destination Think!. But later, as a team, late one night, we said no, this doesn’t clearly articulate how brave we want to be here. So we said, “Don’t hold back, don’t cushion the messages out of fear that people might disagree. This is a conversation we need to start having with our community. Why do you think the response has been positive? We have had a great response because we knew that there was an inherent truth between all of us in the Bay of Plenty: a love of our place and everything in it. This reflects a concept in Māori called tūrangawaewae, which means “a place to stand.” The work we had done earlier in the process showed how much love and care there is for the Bay of Plenty, the region and all the living things in it. We knew we just needed to harness that. The real power here is the social license. I believe that, as destinations, when we receive community pushback, it’s just that the place hasn’t found its common goal yet. I firmly believe that this plan describes a goal we can share in common with our locals. What signs of social license for tourism are you seeing? We are starting to see motivated residents who are happy that they’re now involved in visitor management. They’re involved in what’s happening to their place – the control mechanisms and all the positive results of that. This also gives the industry a clear message to stand behind as we grow the tourism economy on their behalf. It’s a different approach than maybe the last 40 or 50 years, and I think that’s where the Māori people need to be acknowledged. This has been their way of thinking for millennia. Through industrialization and colonization, that thinking has gotten lost in the mainstream. We want to rejuvenate that thinking for our region and give them credit for the values and beliefs that they hold because if they had been held onto, no region in the world would be suffering like it is now. The other piece is that this is what travellers want. The emerging travellers don’t want to destroy the environment with their travel. They want to come to a place and do some good, potentially, to make up for the carbon they’ve used to get there. The more we’ve gotten confident with this plan, the more nothing else makes sense. The only way forward is to fundamentally change. Tweaks aren’t going to do it anymore. In part two of this interview, coming soon, Kristin shares how Tourism Bay of Plenty’s mandate has expanded from promotion to destination management and describes some of the first actions taken in The Love of Tourism.